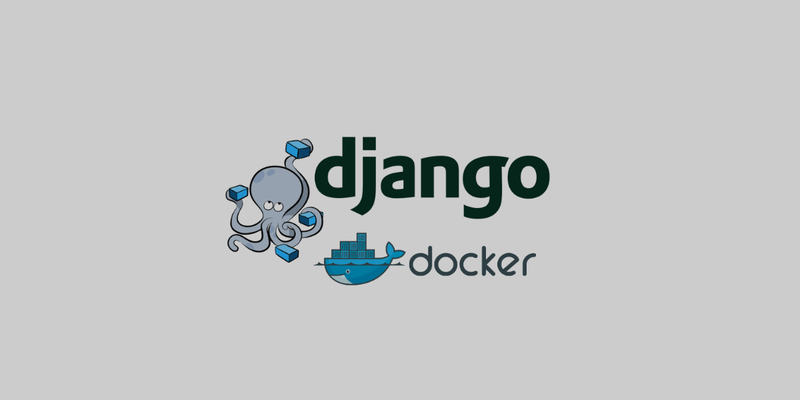 This guide shows you how to set up a Django application and development environment using Docker. Note: The previous version of this guide was written before Docker for Mac was available. I've recently updated the guide using Docker 17.06. The first step is to install the Docker for Mac or Docker for Windows if that's your cup of tea. Let's take a look at what this command does. The docker run command lets you start a container from an image. In this case, you are creating a container from the ubuntu:16.04 image. This is the ubuntu image with the 16.04 tag. Each Docker container should run a single process. So the docker run command lets you specify a single command to run inside of the container. In our case, we are going to run a bash shell. So we've specified the command to run as bash. Since we are running a bash shell we are going to want to allocate a pseudo-TTY and keep STDIN open. This is why we've added the options -it to the run command. This is the bash shell running inside of the container you just created from the ubuntu image. You can run ps to see which processes are running in this container. Type exit to close the shell. Now you can run docker ps to see which containers are currently running. You should find that there are no running containers. But if you run docker ps -a you'll see all containers including the one you just stopped. Since the containers are designed to run a single process, once that process is finished the container stops. Take a look at the fields displayed by docker ps -a. Two important fields are CONTAINER ID and NAMES. If you want to interact with your containers you'll need to know the name or id. If you want to start this container back up you can do so with docker start -ai. Since the COMMAND associated with this container is bash we need to attach STDIN, STDOUT, and STDERR, hence the -ai options. Theoretically we could run our container in the background. If our command was something else, say python manage.py runserver 0.0.0.0:8000, we would likely want to run our container in the background. In this case we would be able to see our container running when we type docker ps. If we want to run a command on an existing container we will use the docker exec command. The exec command offers familiar options, so if we wanted to open a shell in our django container we could type docker exec -itbash. For our Django app we're going to build a custom Django image. There is a lot to learn about Docker images in the future, so you should definitely read up on them when you're ready. Now create a file in this directory called Dockerfile. Check out the Dockerfile reference for more information about how to build a Dockerfile. The requirements.txt file contains the python modules necessary to run your application. In this case when need to install Django and psycopg2 (postgres + python). The Dockerfile we created in the previous step will install these required modules. See the compose file reference for more info. You'll need to use the docker-compose run command to start your Django project. Of course, if you've already got a project started this step is unnecessary, but it may still be helpful to read through. In your docker-compose.yml file, we've specified the command we want to run as python manage.py runserver 0.0.0.0:8000. This is the command that will be run when we bring up our container using docker-compose up. But before we can get to that point, we actually need a Django project. To do this we'll need to run a command against our web service using docker-compose run. docker-compose run web django-admin.py startproject composeexample . Django's database settings are in the settings.py file located in your primary app directory - composeexample/settings.py. Go ahead and open this file to edit. Notice the hostname. If you look back at your docker-compose file, this is the name of the database service we're creating. When we use docker compose to start up our services, a default network is created and our containers are able to reach each other on this network. Moreover, they are able to reach each other using a hostname that is identical to the service name. At this point we're ready to take a look at our empty application. Run docker-compose up to start the Django server. At this, you'll be able to view your site in the browser using http://localhost:8000. Running tests is fairly straight forward. You can run a basic test using the docker-compose run command. But what if you want to automate the test? I was recently inspired to automate a test in my deploy script. So when running my deployment script, I would first spin up a docker container, run tests, and if the tests pass I can continue with the deployment. Otherwise, we stop and fix the issues. echo "Tests did not pass! Fix it." The --rm flag removes the containers immediately after they stop. Docker images are made up of layers, and many times you'll want to see details on each layer of an image. This guide will show you how to show all layers of a Docker image. Docker secrets is a secrets management tool designed for use with Docker Swarm. And of course, Docker Swarm refers to the cluster management and orchestration features built into the Docker Engine. A cluster is a group of computers performing the same task, operating as a single system. Although Raspberry Pi's are pretty incredible devices, a single Pi can only do so much.